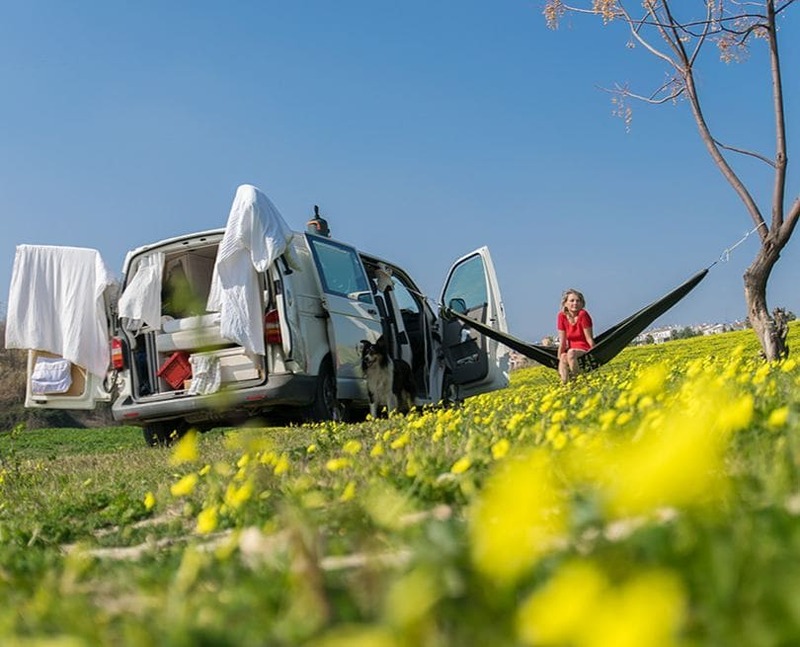 Jumping in head first without any knowledge or skills seems to be the way Olivia and I have decided to live our vanlife adventure. 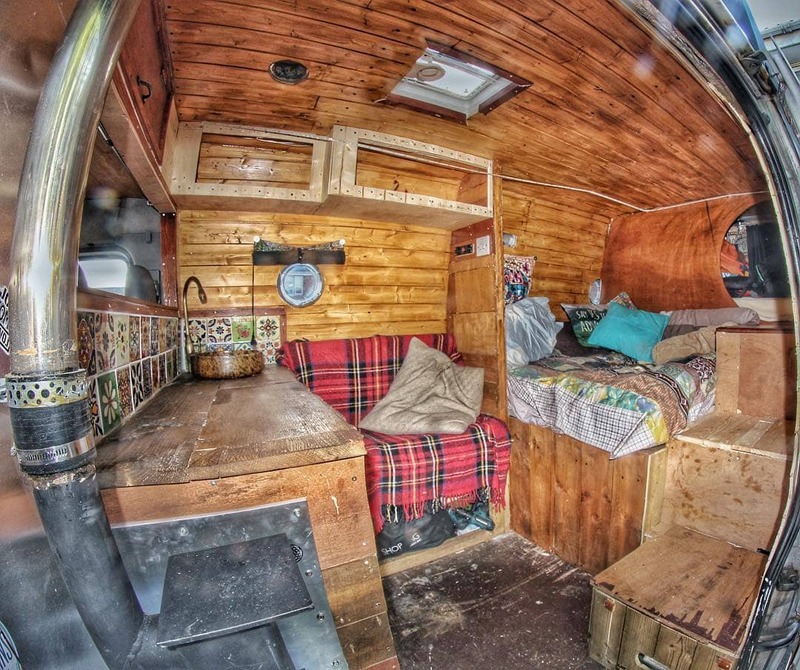 When we bought the van I hadn’t driven a car for 5 years, I hadn’t built anything out of wood since I was at school 15 years ago and I had never designed and connected a gas, water or electric system. That all seemed to work out in the end so when we decided to use some of our free time to build a website we took our lack of knowledge and skill and jumped in head first with that project too! 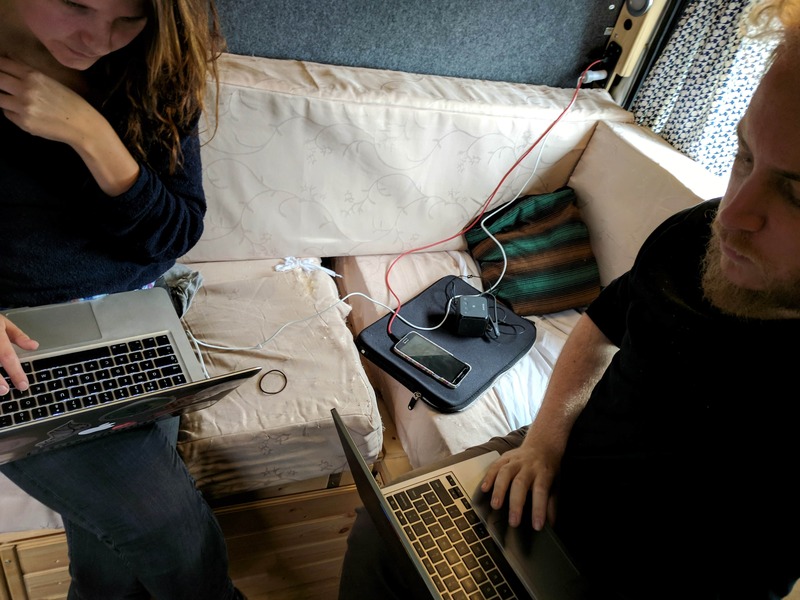 Since then we have learnt so much and our website has grown to be one of the most fun elements of our vanlife journey, we get emails daily from people who have found some use from our website and the money we earn from our website pays for all of our diesel, helping us go those extra miles. With that in mind we thought we should talk about how we built this website, what we have learnt and some of the ways it generates an income for us so that any of you who have something to share can go into it with maybe a bit of knowledge and some basic skills. Choosing a focus for your website might seem like an obvious first step but it really is one of the most important things to consider and something people don’t spend as much time on as they should. If your website topics are too broad you will struggle to get people to regularly come to your site because they won’t know what kind of article they are going to get next, if one week you are writing about converting a van and the next you are writing a tutorial on how to play guitar people looking for van conversion information will stop considering your website as a regular resource for them. Conversely if you choose a topic which is too narrow you will soon run out of things to write about and the next thing you know writing for your website becomes a chore. For us we knew that we wanted to write about living in our van and everything that goes into that lifestyle. To make sure we were going to have enough to write about we brainstormed article ideas in a Google Doc, from the obvious to some pretty obscure ideas. By the time we had finished brainstorming we had over 100 article ideas and a dozen other projects for areas of our site so we knew that if we were going to release an article a week we would have enough ideas to last for 2 full years before we would have to come up with some new topics. Once you have the focus for your website it’s time to start considering your domain name, this is how people are going to find you on the web so is a big decision. You want it to be something memorable enough that people will come back to it but also not so complicated that they’ll never be able to spell it! A couple of things you’ll want to consider are the long term future of your website, names that can be easily misspelled and something you might be embarrassed to tell people about. Take for example if we had decided to choose the domain name www.travelingwithmattyandliv2018.com. When 2019 rolls around our website name will cease to make sense and so we fall foul of the first thing to consider, ‘traveling’ is also spelt ‘travelling’ in the US and so that confusion could lead to people not being able to find our site easily and thus the second thing to consider is being ignored and finally I would simply be too embarrassed to tell anyone the name of my website! One final thing to consider is whether your domain name is available on social media such as Facebook, Instagram, Twitter etc. Although you may not want to use them at this stage knowing that they are available should you wish to use them in the future is important as keeping a consistent name across all platforms will help your readers find you and interact with you easily. For us the choice of domain name was simple. 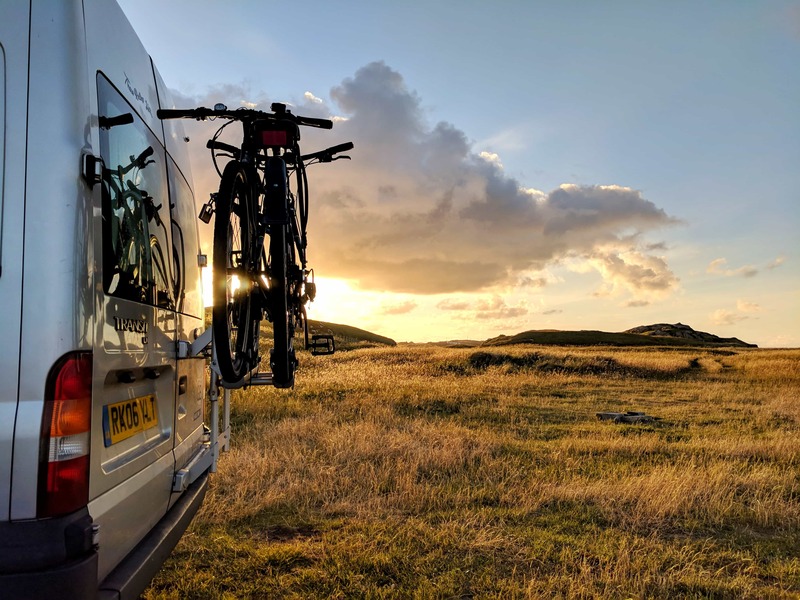 When we had started converting our van we had set up an Instagram account @theserollinghills so we could share the progress of our build with friends and family as well as interact with other van dwellers. For us it made sense just to use this for our domain name and so that’s how we arrived at the website you are on right now. So you have your website idea and also what you want to call it, the next step is where you’re going to put it. This real estate on the internet is provided to you by a web host. The first option you have is to use a free web hosting platform such as Blogger. While it may be tempting to use a free option for your hosting you really wouldn’t be doing your website much justice as you are extremely limited on how you can make it look, how your readers can interact with it and how fast your site can be. If you are simply looking for a way to keep your family informed of what you are doing and where you are then a free platform may be a good idea however for anything else you will want to look into a paid for web host. Speed – lots of hosting companies offer impressive sounding figures on how much bandwidth you get but in reality the one thing we want from any website we read is for it to load quickly. When you start out you won’t have that many readers and so having unlimited bandwidth just isn’t important however loading your pages quickly for the few readers you do have is vital. Support – When something does go wrong with your website or when you can’t find the specifics of what you want in this guide you want a web host that is available for you quickly and easily. You want to be able to get somebody on the phone or the live chat within minutes and them be able to advise you on what you need to do. A lot of the web hosts we investigated were the big companies such as Bluehost or GoDaddy who offer enticing prices when you sign up however they didn’t give us what we needed which was speed, uptime and support. In the end we opted for a smaller hosting company and have been very happy so far. We chose Siteground as our web host and have been extremely happy. Our site speeds are good, we have had 100% uptime and when we needed help setting up our emails we were able to get somebody on livechat within 1 minute and had new email addresses for our website a few minutes later. Best of all we were able to sign up for just £2.75 a month and easily able to upgrade this package when our website started to get more views. It is at this point you will be able to register the domain name you have chosen, you can do this simply through Siteground as part of the sign up process, it couldn’t be simpler and it kills two birds with one stone! You have your topic, you have your name and somewhere to put your website, now comes the fun stuff, the building. By far and away the most widely used website platform on the internet is WordPress. It is used by most of the big websites you use and is robust and customisable so I recommend using it as we have done. Thankfully Siteground makes installing WordPress exceptionally easy thanks to it’s autoinstaller which can be found in the control panel for your hosting. From there you will be able to browse through a library of themes, most of which will be free for you to use. Download them, activate them and have a look at how it makes your website look. You’ll also notice in this library a number of premium themes, these are ones which cost money to use and you’ll probably wonder why would I pay for a theme when there’s so many good free ones? Free themes are great and something that I would recommend using especially when you are starting out. In fact the first theme we used for our website was the Customizr theme which is a free theme and it worked great. You can make a great looking a very functional website using a free theme so then why would you pay for one? After we started to get some decent regular traffic to our website we decided to upgrade the theme we were using to the premium version and so now we run our site using the Customizr Pro theme. Compared to the free version of the theme the developers regularly update premium themes ensuring that our website is secure and they have a tonne of new functionality and customisation available to us which isn’t in the free version. Small things such as the ability to have an infinite scroll on our pages or the flexibility to move things around on our homepage down to some of the more specific things which have really helped us improve some of the monetisation of our website have meant that the premium theme has been a worthwhile investment for us and for the cost of around £60-100 it didn’t break the bank! We wanted our website to stand out and also had grand ideas early on that we wanted to force our families to walk around with t-shirts about us and our vanlife on them and so we decided to have a logo for our website. With my GCSE in art in hand I set about coming up with ideas for our logo on paper with pen however my GCSE in IT didn’t teach me how to get these ideas onto a computer and on to our website. That’s where Fiverr came in. Fiverr is a place where you can employ people with the skills you don’t have be it getting your designs on a computer or even getting an artist to design something for you. You can get a logo designed on Fiverr for as little as $5 or you can send them your designs and have them create it on the computer for you, it’s a great place for this kind of thing and something we have used time and time again to have our designs created ready for our t-shirts and other projects we have. Once you have your logo just upload it everywhere you want it! It really is a s simple as that. You have your website looking good, you have your logo and colour scheme all picked out you just need to start creating content and this comes in 2 forms on WordPress, pages and posts. Pages – these are supposed to be static “one-off” web pages that you set up for the type of content that is timeless for example your About Me page or on our website the Support Us page. Posts – these are for the regular content you write and are usually displayed in chronological order. The vast majority of the content you post will be in the form of posts. You can see examples of how posts work in our Articles section of the website. Before we started our website we sat down and wrote 10-15 posts as well as the core pages our website would need. By having your pages already written and to have a backlog of posts written takes a lot of the pressure off the first month of your website launching when you will want to be putting your time into promoting it rather than rushing to get posts written. One of the great things about WordPress is that you don’t need to have a tonne of technical knowledge in order to have your website look and perform how you want it to. There are many developers who are much smarter and talented than you or I and they have created things called plugins to make our lives much easier. You simply download and install a plugin onto your website and it will add functionality which wasn’t there before. WordPress SEO by Yoast – this is the easiest way to optimise your website so people can find what you’re writing. It makes it super easy to see how well your posts will perform in the Google rankings and also makes it easy to track some of the analytics you want to know such as how many people are visiting your website. W3 Total Cache – Modern websites have a tonne of pictures and so take longer to load up, what a cache will do is make it so your website doesn’t have to load up from scratch every time a user visits it. It will store your website for them locally and so it will take no time at all for it to load when they want to look at it again. This is a great way to improve your site speed. Akismet Anti Spam – The instant you put your website live you will start getting spam comments sent by bots, its the nature of the internet unfortunately however with this plugin nothing goes on your website without your say so. It also protects you from people trying to access your website’s admin section. BackWPUp – should anything happen to your website it would be devastating to have to try and rebuild it from scratch, this plugin lets you create a back up of your site ready to upload should you need to relaunch your site after a crash. These are not the only plugins we use on here but they are the ones I would recommend to anyone who’s about to put their website live. Put about 10 posts live on your site. It might seem crazy that you would write 10 posts and then put them all live at the same time, after all if you posted once a week that content could last you 10 weeks! Well launching your blog with a fanfare will get people to come to your site and if they arrive there to just find one post they will read and leave pretty quickly and the chances of them returning is slim. By having around 10 posts up on the site you will keep people there for longer, they become more engaged and they are much more likely to come back. When we launched not only did we launch with 10 posts on the site but we made sure we had some of our best content up for launch, posts that have become the cornerstone of our site and the reason people keep coming back to us such as our Making money on the road post. Set up your social media. Once you have your website up and running you are going to need a way for people to find it so you’re not just writing posts for yourself to read. While Google drives a bunch of traffic for us it really is via social media that we get a lot of our views, 67.2% so far this year in fact. Set up your Facebook, Instagram, Twitter and any other social media you’re likely to use. Even if you don’t think you’ll use it now you never know in the future plus just because you don’t use Facebook doesn’t mean that other people won’t be using it to try and find your content. Have a soft launch. Send your website to your family and friends first, get honest feedback from them, find out if they found your site hard to navigate, interesting enough to want to come back or even if you’ve got any obvious spelling mistakes. Once you have that feeback, act on it and then you know your website will be in its best shape when you come to put it live for real. You now have you your website up and running, you should be very proud so what next? Well that’s really your call, it depends what you want from your website. If you love to write and are happy to have your work online then just keep going! For us we had decided early on that we wanted our website to be a way we could make money while we were on the road and so we built it with that in mind and set about working out how to monetise our website so we could travel for longer. Our next post will talk about the ways in which we monetise our site and how we fund some more of our adventures specifically through this website.